Is Kombucha the New Orange Juice? The food and beverage industry is constantly evolving. In recent years, we have seen a tonne of interesting trends emerging and dominating the market - not all of which have lasted. Among these trendy new players in the marekt is Kombucha. Kombucha is a sweetened black or green tea drink fermented by bacteria and yeast called “SCOBY” or Symbiotic Colony of Bacteria and Yeast. It is often mixed with fruit juices and other flavorings to add different tastes to it. In short, it provides people who want to try innovative beverages with a new flavor experience. With a growing wellness trend of addressing gut health, fermented food and drinks like Kombucha have become very popular with an increasingly health conscious population. While the trend is new, the drink itself has been around for many years - especially in China where it originated - but has recently become popular in other major countries. It was one of the best-selling fermented drinks in U.S supermarkets in the year 2016, with around 500 million U.S. dollars sales revenue. 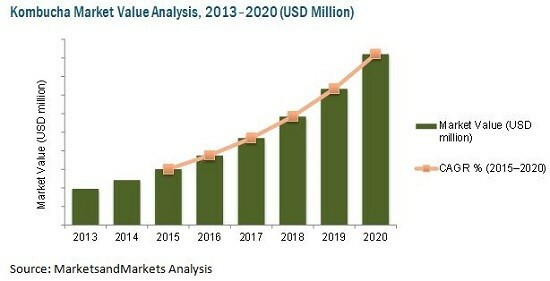 Such impressive numbers are due to increasing consumer awareness of the drink’s health benefits. Kombucha claims to optimise gut health, boost the immune system, improve liver function, and prevent cancer. It is, in fact, a hot trend when it comes to health beverages. The biggest Kombucha brewer in the country is Remedy. 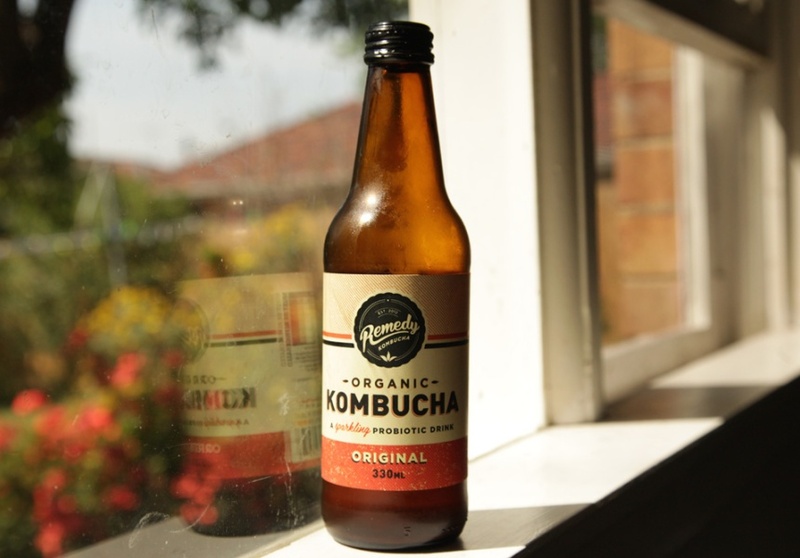 Launched in 2012 by Sarah and Emmet Condon, the company produces around 150,000 Kombucha bottles a week to deliver to different cafes and independent supermarkets in Australia. Other local brands that have jumped on board are MOJO, Buchi, Kombucha Me, Nature’s way Kombucha, and Parker’s Organic. Leading supermarkets like IGA and Woolworths are also making the most of this new beverage trend. Woolworths has now increased the number of its Kombucha offerings, stocking two new MOJO kombucha flavors. Metcash, one of IGA supermarket’s suppliers, meanwhile, will be distributing 13 flavors of MOJO kombucha. Before the sudden uptake of fermented teas, there have been other healthy drink trends that have seen great success in the Australian food and beverage market. For instance, cold-pressed juices. Fresh juices were among the very first healthy drinks that went mainstream in Australia because of the many nutrients they provide. Not to mention the fact that they’re a lot easier to prepare. However, this craze seems to have slowed down since cold-pressed juices at commercial scale were introduced, with forecasts predicting Kombucha may overtake cold-pressed juices pretty soon! Though it may sound healthier than fresh juices and commercial juices, there are no concrete studies that show “cold-pressing” juices have better benefits to our health. Nevertheless, cold-pressed juices and fermented drinks are still considered to be the most popular healthy beverage choices both here in Australia and abroad, probably because consumers now want more energy but lesser sugar. Indeed, Kombucha is taking the global market by storm. According to the research company MarketsandMarkets, “the Kombucha market is the fastest-growing market in the functional beverages category.” It is even expected to grow 25% each year, from $0.6 billion in 2015 to a whopping $1.8 billion by the year 2020. 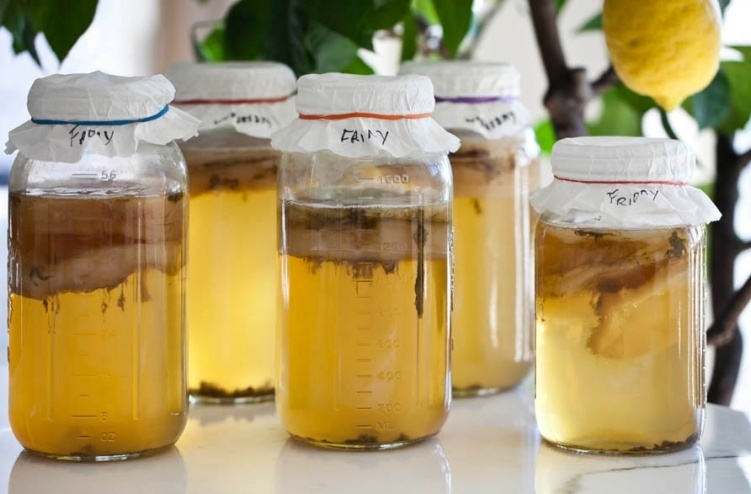 The demand for Kombucha is rapidly increasing, given the many health benefits it can provide. Numerous beverage brands are now trying to break into the fermented drinks market. PepsiCo is, in fact, one of these established brands we’re talking about. Late last year, the American multinational company acquired KeVita for an undisclosed sum. KeVita is North America’s leading producer of fermented probiotic drinks and kombucha beverages. According to PepsiCo, this strategic move was made to boost their health and wellness offerings, so they could meet their customers’ changing needs. With such meteoric growth, we won't be surprised at all to see Kombucha completely dominating the mainstream beverage market in the future. And with the war on sugar showing no signs of slowing, we may even see more Kombucha than orange juice in commercial restaurants and cafes soon! 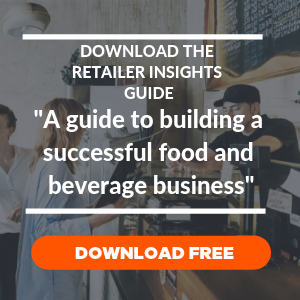 Given that large manufacturers like PepsiCo are now hopping on the fermented drinks bandwagon, and existing Kombucha players are already expanding their product ranges, there's no doubt that Kombucha is in the running to be the next orange juice. Want to read more industry insights from us? Don’t hesitate to check out our blog. Avlya Jacob is a content writer at Ordermentum. When not working, she enjoys writing online novels and spending time with her husband.